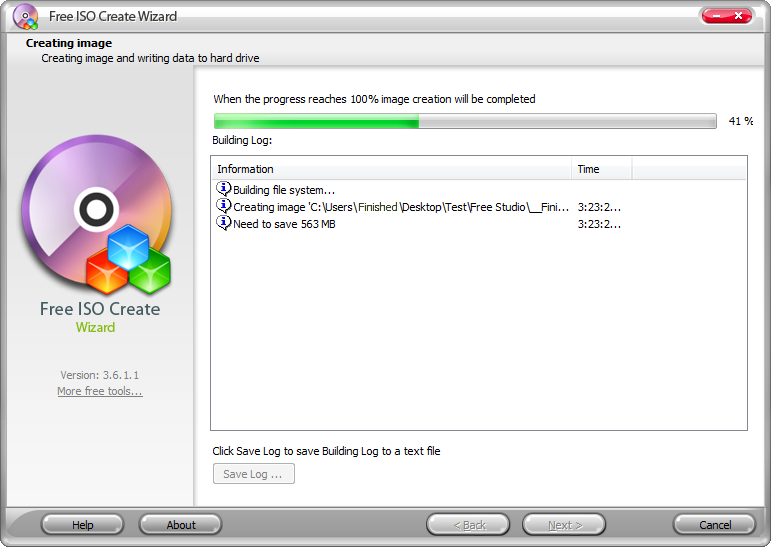 ISO Create Wizard helps you create ISO image from files or folders. With Free ISO Create Wizard, you can easily create ISO image from any files and folders (with the subfolders). This is very easy for the novices, yet powerful and efficient for veterans. No matter which type of files, you just need to add them and build ISO. Try it and it sure will be a solid addition to your toolbox. * Options summary to review the settings. Qweas is providing links to Free ISO Create Wizard 4.2.5 as a courtesy, and makes no representations regarding Free ISO Create Wizard or any other applications or any information related thereto. Any questions, complaints or claims regarding this application Free ISO Create Wizard 4.2.5 must be directed to the appropriate software vendor. You may click the publisher link of Free ISO Create Wizard on the top of this page to get more details about the vendor.